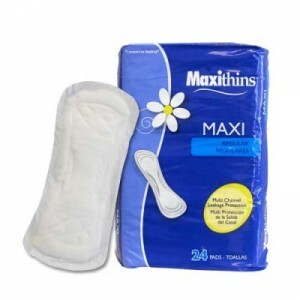 Sanitary Napkins and Their Alternates Uses. Sanitary Napkins and Their Alternate Uses. This entry was posted in medical and tagged alternate uses of sanitary napkins, Sanitary Napkins. Bookmark the permalink. 4 Responses to Sanitary Napkins and Their Alternate Uses. I am a female, so obviously I will have a few additional uses for the sanitary napkin. But one additional thing I thought I’d share we’re a few uses some of my fellow soldiers had for them (they were all men). Put a napkins along the inside of the Kevlar helmet (absorbent side on the forehead) to absorb the sweat before it runs down your face. Also taped one around hands (and knees) for padding when carrying something heavy and or spending any amount of time crawling on your knees. Make sure you don’t get the ones with chemical absorbents inside. RE:Sanitary napkins can be purchased at the Dollar Tree store for just one dollar for a package of 20 to 40 depending on thickness…250 for $6. to $12. Tampons cut into thirds (cut off string) make great plugs for stopping nosebleeds due to small blood vessels near surface rupturing. Works way better than trying to stuff tissue up the nose. I asked my Doc if this was o.k. to use and he said that’s what hockey, football and rugby players have used for years. Cut length to accommodate how far up the nostril the offending blood vessel is located. Saves blood loss and messes.